Victor Piché is a sociologist-demographer specialized in the field of international migration. He has been interested in the links between international migration and globalization, focusing on the rights of migrant workers. He has directed a study for UNESCO on the reasons why Canada refuses to ratify the UN Convention on the Protection of the Rights of Migrants and Members of their Families. He has carried out several surveys on migration in West Africa as well as in Quebec. Most of his research deals with the economic integration of migrants in Montreal as well as in major West African cities (Ouagadougou, Bamako and Dakar). He has recently completed a survey on remittances to Haiti of Haitians living in Montreal in collaboration with colleagues from York University (Toronto) who have carried out the same survey among Jamaicans. Finally, he was director of a Bill & Melinda Gates project which has developed a masters degree in population and health at the University of Ouagadougou (Burkina Faso). 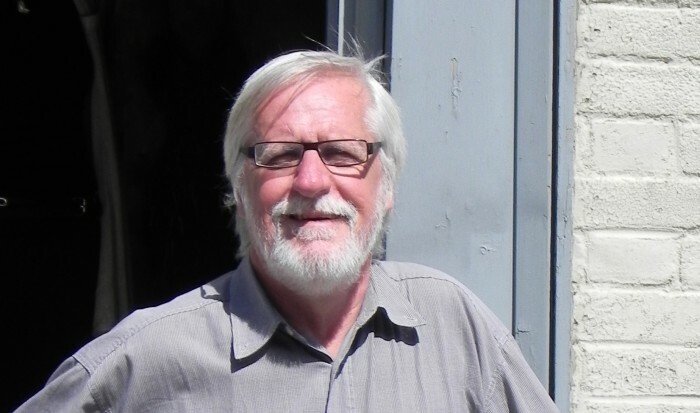 Victor Piché was professor in the Department of Demography at the University of Montreal from 1972 to 2006. He was also senior advisor on international migration and human rights for Action Canada for Population and Development (Ottawa). He is presently working on three main projects: (1) a history of labor migration in West Africa, focusing on Burkina Faso and Ivory Coast (1900-2000); (2) a short book on demography as a profession; and (3) the organization of a workshop on epistemological aspects of the production of migration theories in Africa and the Arab world. SIMON, Patrick, PICHÉ, Victor et GAGNON, Amélie (eds), (2015) Social statistics and ethnic diversity: cross-national perspectives in classifications and identity politics, IMISCOE, University of Amsterdam Press. PICHÉ, Victor, « Production/gestion de l’incertain : les populations migrantes face à un ordre mondial de plus en plus répressif », dans VRANCKEN Didier (dir. ), (2014). Penser l’incertain, Presses de l’Université Laval, coll. “Sociologie contemporaine”, pp. 173-202. PICHÉ, Victor (2013), “Les théories migratoires contemporaines au prisme des textes fondateurs”, Population, vol. 68, no 1 : 153-178. Piché, Victor (2013), « Contemporary Migration Theories as Reflected in their Founding Texts », (2013) 68:1 Population 153. Piché, Victor. Production/gestion de l’incertain: la migration internationale comme course à obstacles, 7 novembre 2011, présentation à la Faculté de droit de l’Université McGill. Piché, Victor. Recensement: le Québec grand perdant, La Presse, 14 juillet 2010. Piché, Victor. Human Trafficking in Argentina: a Step in the Right Direction but Still a Long Way to Go, 2010, Buenos Aires. Piché, Victor. Immigration Policy in Argentina: Between Theory and Practice, 2010, Buenos Aires. Piché, Victor. Argentinean Immigration Policy Reolutely Geared to Human Rights, 2010, Buenos Aires. Piché, Victor, Eugénie Pelletier & Dina Epale (2009) in De Guchteneire, Paul, Pecoud, Anbtoine & Cholewinski, Ryszard, (eds). Migration and Human Rights: The United Convention on Migrant Workers’ Rights, Cambridge University Press, Chapter 8. Antoine Pécoud et Paul de Guchteneire (éds), 2009. Migrations sans frontières: essai sur la libre circulation des personnes. UNESCO, Collection études en sciences sociales, p. 383. À paraître dans la revue Population. Migrations internationales et droits de la personne: vers un nouveau paradigme?